Interest is growing in cohousing, a small, village-like arrangement of homes that allows for privacy but also promotes community. Cohousing began in Denmark and spread to the United States in the 1990s; it has particular appeal for seniors because it provides a supportive community in which people can stay in their own homes as they age. Another part of cohousing’s appeal is a set of associated values, frequently articulated in a community’s vision. This kind of community attracts people who want to be engaged with their neighbors and to build and live green, practices that some consider spiritual elements of a lifestyle that respects neighbors and honors the Earth. Some cohousing developments have more explicit spiritual elements, such as founding principles that stress spiritual development or the spiritual value of service to others. Those already involved in cohousing say they are getting inquiries from across the country, and hundreds of projects are complete or under way in nearly every U.S. state. By 2027, 78 million people will reach retirement age. Cohousing and other new and creative living arrangements will likely become more widely available as this group ages. Cohousing offers an opportunity for people to care for others, an eminently spiritual value. Cohousing — Cohousing, according to the Cohousing Association of the U.S. in Boulder, Colo., is characterized by resident input into design, layout that encourages community, private residences and a common facility, participatory government by residents and separate income for members. Cohousing developments are also usually designed to be environmentally sensitive and employ green building techniques. People attracted to cohousing generally share certain values, prizing community above all. Some cohousing developments describe their common values as spiritual. Elder cohousing — Elder cohousing is intended for people 55 and older, based on the same principles as cohousing. The Elder Cohousing Network, an offshoot of the Cohousing Association, has 3,500 people in its database. Intentional communities — Both cohousing and elder cohousing are types of intentional communities, groups of people whose living arrangements reflect a common vision. The Fellowship for Intentional Community, a network of information and resources for people living in intentional community, includes a variety of living arrangements, including cohousing. The FIC Web site lists intentional communities existing and forming around the world. Gerontology experts have a wide variety of concerns about aging, from medical to spiritual. Priority issues vary with local demographics. This topic can be explored from both the seniors angle and the housing angle. As you scope out what issues are most relevant for your local population of seniors, where does spirituality fit in? How about housing? Are existing religious congregations providing lots of support for seniors? How have senior homes run by religious organizations – Jewish, Catholic and other – evolved over the years? What about social service agencies aimed at seniors? How about retirement homes, which are both growing and changing to provide a continuum of support? What about local real estate agents, who might be working with seniors who are moving and downsizing? One trend in senior housing aims at the “active adult” market of people age 55 and over. If you have such developments in your area, how involved are their residents in community life? How do residents at these developments meet their spiritual needs? Since cohousing is a relatively new model of housing, some cohousing proposals have faced problems with local planning and zoning rules. Have local planning authorities entertained proposals from developers interested in innovative senior housing? Have any local congregations begun investigating this area? Catholic, Unitarian and Quaker faith groups have been among those drawn to cohousing. The social concerns of some faith groups involved in housing make affordability of housing a priority. Most cohousing is developed at market rate prices, although some projects include subsidized or lower-cost units. A few developments are expressly designed to serve lower-income residents. The question of affordability can present challenges for planners and residents and may be relevant for your area. Some nursing homes are beginning to rethink how they provide care for residents, looking at new models such as the Green House that provide more homelike settings. This too is part of a cultural change of values associated with aging. It employs some of the same values associated with cohousing. The Cohousing Association of the U.S. posts a list of communities across the country, including Web links. The Fellowship for Intentional Community posts a list of cohousing communities alphabetically on their website. The Gerontological Society of America can make local expert referrals on the subjects of housing (see keyword code 440) and religion (see keyword code 750). The Cohousing Association of the U.S. posts links to news articles about cohousing. Read a Sept. 3, 2011 article about the Walnut Commons– a new cohousing community developing in Santa Cruz, C.A. Read an Aug. 22, 2011 New York Times article about the support and warmth of senior cohousing communities in the Appalachian town of Abingdon, Va.
Read a June 12, 2013 Huffington Post article about the ec0-villages, or cohousing communities, that are becoming a popular trend for adults and seniors alike. Read an Aug. 2012 article about the growing popularity of cohousing communities among more than just retired seniors. There are over 118 cohousing communities in the U.S. and counting. 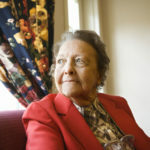 Read an April 13, 2012 article about the history and development of cohousing communities in the U.S.
Dr. William H. Thomas received the Heinz Award in 2006 for his work in transforming nursing homes using models he has developed that emphasize caring community. Contact him through the Eden Alternative in Wimberly, Texas. The work of the Sage-ing Guild is inspired by Rabbi Zalman Schachter-Shalomi, co-author of From Age-ing to Sage-ing: A Profound New Vision of Growing Older (Warner, 1995). A leader in the Jewish renewal movement, Schachter-Shalomi developed an influential model of late-life spiritual growth that the Sage-ing Guild is now promoting. Drew Leder, a medical doctor who teaches philosophy at Loyola College in Maryland, authored Spiritual Passages: Embracing Life’s Sacred Journey (Tarcher/Putnam, 1997) and has written extensively on aging and spirituality. He has examined elder spirituality in a variety of religious traditions and has consulted with the ElderSpirit Community in Abingdon, Va.
Charles Durrett is an architect in Nevada City, Calif., who with his wife and business partner, Kathryn McCamant, has championed cohousing in the United States. McCamant & Durrett Architects has designed cohousing and senior cohousing. Durrett’s books on cohousing include Senior Cohousing: A Community Approach to Independent Living (Ten Speed Press, 2005). He says the most important value for cohousing members is community. Neshama Abraham is a principal in the cohousing consulting firm Abraham Paiss & Associates, cofounder of the Elder Cohousing Network and spokeswoman for the Cohousing Association of the U.S., all based in Boulder, Colo. She is familiar with many of the projects being developed and says that living in community is an important spiritual practice. Stephen Golant is a geographer at the University of Florida-Gainesville who specializes in gerontology and housing arrangements for senior citizens. He has written or edited more than 100 papers or books on the subject. Contact: golant@geog.ufl.edu, 352-392-0494 ext. 218. The Retirement Research Foundation in Chicago promotes elder-friendly communities. It funded a project to replicate the ElderSpirit Community in Abingdon, Va., in other areas and provided some development money for the community. Marilyn Hennessy is president. MetLife Mature Market Institute in Westport, Conn., conducts research for the insurance giant Metropolitan Life, and knows the demographics of people approaching retirement. Contact Christine Bonney in the company’s New York media relations office. Nubanusit Neighborhood & Farm in Peterborough, N.H., is a 29-unit cohousing community based on environmental values that includes an organic farm. Mid-Atlantic Cohousing is a regional clearinghouse for cohousing communities in Washington, D.C., and nearby states. Kevin Oliveau, founder of Catoctin Creek Village in Taylorstown, Va., says a common value for cohousing groups is community. While most cohousing groups are not denominational, many Quakers and Unitarians are drawn to the arrangement. The ElderSpirit Community for people 55 and older in Abingdon, Va., has a focus on late-life spirituality. Residents also agree to care for one another as they age in a community of mutual support. Dedicated in June 2006, the 38-home community has a core group of former nuns. Catherine Rumschlag is the first resident, Dene Peterson the founder. Monica Appleby is director of the ESC Extension Project, working with six groups interested in developed similar communities elsewhere. Giles Blunden is a Carrboro, N.C., architect who does green building and cohousing. He designed the 46-home Pacifica Cohousing, incorporating environmental and community values, also in Carrboro. Based in Chapel Hill, N.C., Second Journey promotes the values of mindfulness, service and community for the second half of life. Bolton Anthony chairs Second Journey. Orange Twin Conservation Community is a developing eco-village that grows from a record label in Athens, Ga. The Tuscaloosa Cooperative Association, in Tuscaloosa, Ala., is a new group exploring environmentally sustainable cohousing for the area. Charles Nuckolls, a professor of anthropology at the University of Alabama, says the group would like to create an American village. Delaware Street Commons, under construction in Lawrence, Kan., is the first cohousing project in the state. It is multigenerational, uses consensus decision-making and values community and sustainability. Arboretum Cohousing is a 40-unit development in Madison, Wis. It includes affordable housing through Habitat for Humanity of Dane County. The Oakcreek Cohousing Community was completed in 2012 and is run and staffed by the community members themselves. It houses seniors in its 24 units and works to create an interdependent, supportive community. It is located in Stillwater, Oklahoma. Sand River Cohousing is a 26-family community of elders developed in Santa Fe, N.M., based on shared values, including spiritual growth. Contact Coreen Plewa. Silver Sage Village in Boulder, Colo., broke ground in August 2006 and is Colorado’s first cohousing development for seniors. With a spiritual core, the ecofriendly community has a common meditation room. Contact: annie@whdc.com, 303-449-3232 ext. 215. Wonderland Hill Development Co. in Boulder, Colo., has developed 20 communities and is working on several more. The core values of the organization are based on “personal values, community, organic design, and sustainable building practices and principles.” James W. Leach is president; Terri Furman is director of sales and marketing. Mustard Seed Associates in Seattle is a network for Christians interested in cultural innovation. It is a resource for information about cohousing. Karen Hester co-founded Temescal Creek Cohousing in North Oakland, Calif. The project had roots in a local United Methodist congregation. She has over 20 years of experience with group projects, grassroots organizations and communities. The Elder Cohousing Network in Davis, Calif., an eight-household community, opened in January 2006 as the first elder cohousing development in the country. Members range in age from 76 to 92; the community grew out of a Unitarian Universalist congregation in Davis. The 25-family Bartimaeus Cohousing Community at Meadow Wood opened in Bremerton, Wash., in 2006. Bartimaeus is multigenerational and based on Christian faith and practices. Media contact is John Parsons. LaQuerencia is a 28-unit cohousing project under development in Fresno, Calif. Many members are Unitarians.